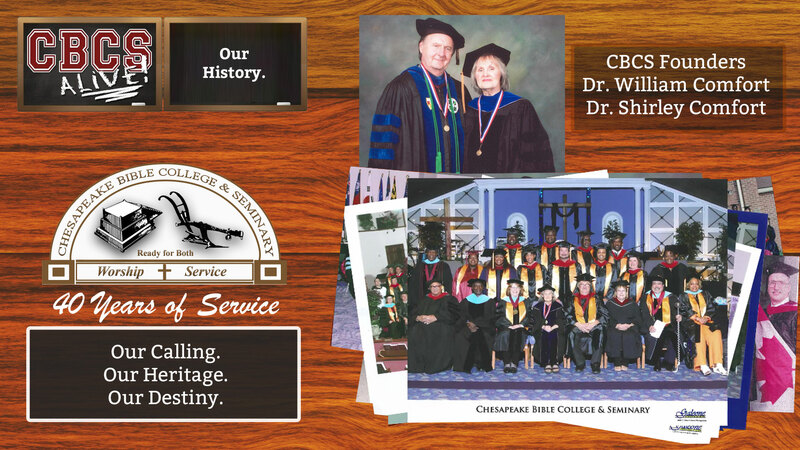 The Chesapeake Bible College, under the leadership of Pastors William M. Comfort & Shirley Comfort, traces its beginning to 1977. It was known then as the New Life Bible Institute, which met in the New Life Christian Center, (which continues today at the Crosspointe Church), in Arnold MD, located in the great Baltimore area. There were thirteen churches which cooperated to sponsor the New Life Bible Institute. In time, hundreds of students had taken courses at the New Life Bible Institute. Some were pastors, elders, deacons and members of other churches. Although the New Life Bible Institute was a training center for many, it lacked the ability to grant degrees. Over time, the leadership of the Bible Institute felt a call to upgrade the overall quality of its course content. In 1984, the presbytery of the New Covenant Churches set Pastor William Comfort aside to earn a Doctor of Philosophy degree. It was felt that this would put him in a better position to impart the desired quality needed by the Institute. 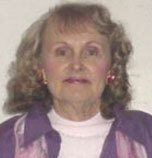 In 1986, Pastor Comfort earned a Doctor of Philosophy degree from Oxford Graduate School in Dayton, Tennessee. Simultaneously, Senator Walter Baker and Delegate Ronald Guns, both from Cecil County, Maryland, introduced legislation in the Maryland General Assembly which would exempt churches from state restrictions and authorize them to establish degree-granting Bible colleges. In 1986, the Governor of Maryland signed into law this new academic freedom for churches. In 1989, Pastors Jack Cox and Chris Peeler encouraged Dr. Comfort to apply to the Maryland Higher Education Commission for the authority of New Life Bible Institute to grant degrees. Severn Covenant Church, New Covenant Church (Arnold), and New Covenant Church (Eastern Shore) pooled their abilities and assets to satisfy all the criteria of Maryland’s Education Article 11-202, which gives churches the legal right to grant degrees. In that same year of 1989, to coincide with the development of a new academic program, the name of the Institute was changed to New Covenant Christian College. On December 4, 1989, the Maryland Higher Education Commission approved a letter of recognition exempting the College from state regulation and legally recognizing its right to grant degrees of a religious nature. New Covenant Christian College began classes in September 1990, at learning centers at the three organizing churches in Maryland, with a total enrollment of 46 students. By the Fall Quarter of 1993, the student body at the three learning centers had grown to more than 125 students, and thirty students received degrees in June of 1994. In 1994, New Covenant Christian College added its first division, namely Chesapeake Bible College and Seminary, and began establishing Schools of Ministry nationally and internationally. Evangelical churches from different denominations opened their doors for Schools of Ministry to be established in their churches. In 1995, College Co-founder, Mrs. E. Shirley Comfort launched the Department of External Studies at the Chesapeake Bible College and Seminary.. This set the stage for the College’s expansion to serving students beyond the great Baltimore MD area, enabling students to earn degrees through correspondence work irrespective of their own geography. With the establishment of the External Studies division, the College grew rapidly. Over the years, the College has now grown to an international Christian education ministry with graduates from Jamaica, Canada, England, Ghana, Trinidad, Bahamas, Kenya, Germany, Nigeria, the Republic of China (Taiwan), and the U.S.A. New Schools of Ministry continue to be established and new affiliations are established with existing Bible Schools through networking. In April 1996, Dr. John Scheel, President of the Accrediting Commission International, in Beebe, Arkansas, visited the Queenstown learning center main office for an on-site evaluation of the entire program of the College. The results of the inspection were favorable. 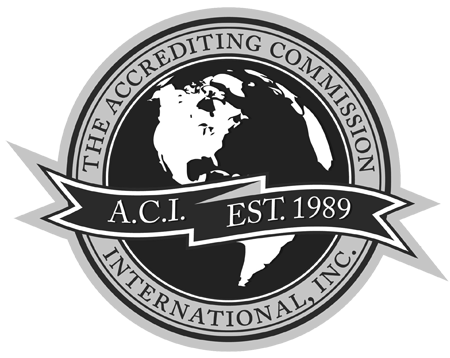 Accrediting Commission International is an international accrediting commission which holds as its primary objective the encouragement and maintenance of sound scholarship and the highest academic achievement in the areas of private education. Quality education is the goal at all times. Its purpose is the preparation of quality education in private schools, colleges, and theological seminaries. It is a non-governmental body and makes no claim to be connected with the government. The Accrediting Commission International approved non-governmental accreditation to Chesapeake Bible College & Seminary. From that time on, the College became known as Chesapeake Bible College & Seminary. On May 27, 1999 Christina Nichols, Senior Certification Evaluator, certified that the Association of Christian Schools International (ASCI) P.O. Box 35097, Colorado Springs, CO. 80935-3509, would accept biblical study credits from Chesapeake Bible College & Seminary. In May 1997, the National Christian Counselors Association in Sarasota, Florida, approved Chesapeake Bible College as a full service affiliate College. The National Christian Counselors Association (N.C.C.A.) is a non-profit, professional organization that trains, certifies, and licenses Christian counselors. The Association includes ministers, Christian counselors, testing specialists, medical doctors, attorneys, and educators. The organization’s purpose is to help Christians who believe that God has called them into the ministry of counseling. The N.C.C.A. has been faithful to this mission since 1981 and has assisted thousands of Christians to fulfill their call. Chesapeake Bible College opened its School of Christian Counseling in the fall of 1997 under the leadership of Dean Ronald J. Carter. Through this program, students may now earn either a Master or Doctor of Clinical Pastoral Counseling degree. The College continues to upgrade its curriculum each year. Dr. Johnnie David Taylor, Jr. developed a number of Religious Education courses in 1999. Courses in worship were developed by Dr. William R. Rea in 2003, and in 2004, the College staff developed several courses in religious classics for the Theology program. The College has now grown to an international Christian education ministry with graduates from Jamaica, Canada, England, Ghana, Trinidad, Bahamas, Kenya, Germany, Nigeria, the Republic of China (Taiwan), and the U.S.A. New Schools of Ministry continue to be established and new affiliations are established with existing Bible Schools through networking. In September 2008, the Oxford Educational Network, an adjunct affiliate of Oxford University, England, received Chesapeake Bible College & Seminary as an Affiliated University. Archbishop John Parnell, Ph.D., D.D., welcomed Chesapeake Bible College & Seminary into the fellowship of Oxford Educational Network in recognition of the College’s continued efforts to raise the standard of Christian education. The affiliation with Oxford Educational Network does not mean the College is accredited by Oxford University. The Oxford Educational Network is a Network of Universities, Colleges and Schools that operate under a Royal Charter from Charles I of England. The Charter, dated 1640, was originally granted to Wolsey Hall at Oxford. Wolsey Hall was named for Cardinal Thomas Wolsey (1471-1530) who had set up Cathedral College which was re-named Christ Church College. 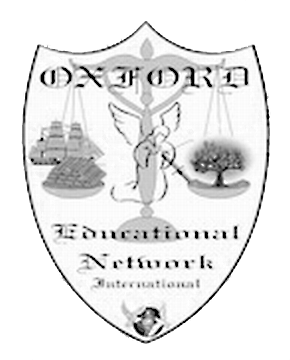 The Oxford Educational Network now has schools in England, America, Canada, Central America, South America and Italy. 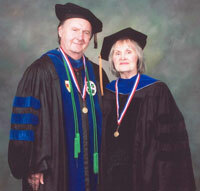 Co-founder Dr. William Comfort was promotion to Heaven in December 2011 and, since that time, his wife, Dr. E. Shirley Comfort has continued to carry the original vision forward and Chesapeake Bible College & Seminary continues to offer quality Christian education to students who would otherwise not be able to attain a degree. In 2012, the College began preparing its Online initiative – developing an initial curriculum that Students could access to complete the degree program work online via the College’s ChesapeakeBibleCollege.org Website. Program curriculum included a complete system for online study of the College’s correspondence study materials as well as online testing tools. The program has been cost effective for students and has been well-received both across the nation and globally. On Feb.28, 2013, Chesapeake Bible College & Seminary announced its partnership with the American Evangelistic Association in furthering the gospel of Jesus Christ and equipping the saints for spiritual growth. AEA Ministries has been providing ordination, accountability and spiritual covering for ministers of the Gospel around the world since 1954. The American Evangelistic Association (“AEA”), established in 1954, has served the Kingdom for over half a century. Credentials bestowed by AEA Ministries are respected by the Internal Revenue Service, by the Military, as well as by state and local governments and ministerial associations globally. AEA Ministries grants credentials to qualified pastors, missionaries, trained laity, church planting leaders and those serving on staff in Christian para-church ministries. AEA Ministries is cross denominational and exists to encourage, assist, and provide a platform for members to proclaim the Gospel in every facet of ministry. In 2015, the Academic Board of Chesapeake Bible College purposed to accelerate the institution’s online curriculum programs, to advantage from the technology advancements, present in both tablets and smartphones, as well as the rapidly growing availability of wifi in many locations. The college is proceeding with its Online 2.0 Development initiative that features an innovative structure allowing students to study online anytime/anywhere/affordably. CBCS Online 2.0 is based on the premise that “fragments” of time and finances, which the typical Biblical student of today grapples with, can become useful building blocks for Kingdom purposes. Jesus teaches His disciples, in John 6:9-12, concerning the value of fragments. He demonstrates that collecting the “fragments” of leftovers after the feeding of the 5,000, resulted in 12 basketfuls – significantly more than what they had started the day with. Similarly, today, those spare moments and fleeting funds, have value and can be multiplied into eternal value through the equipping of the Saints to be Ministers of the Gospel.